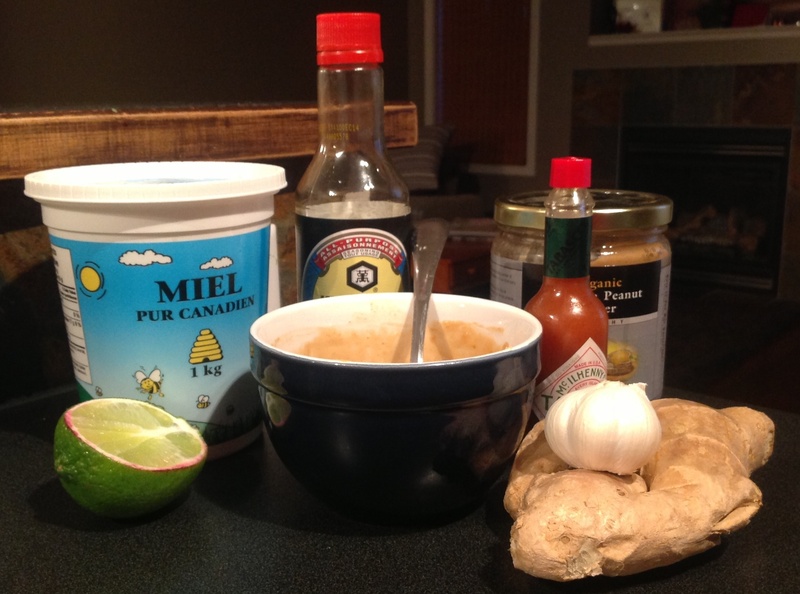 Mix peanut butter, honey and soy sauce together. Slowly add water into the mixture until the sauce is smooth. Add tobasco, garlic and ginger and stir until thoroughly combined. In a sauce pan bring 1 1/2 cups water to boil. Add rice, turn heat to low and cover. Cook approx 35 minutes until water has been absorbed and the rice is tender. In a large sauce pan using a steamer, bring a small amount of water. Add carrots and onion to the steamer first. Cook until slightly softened. 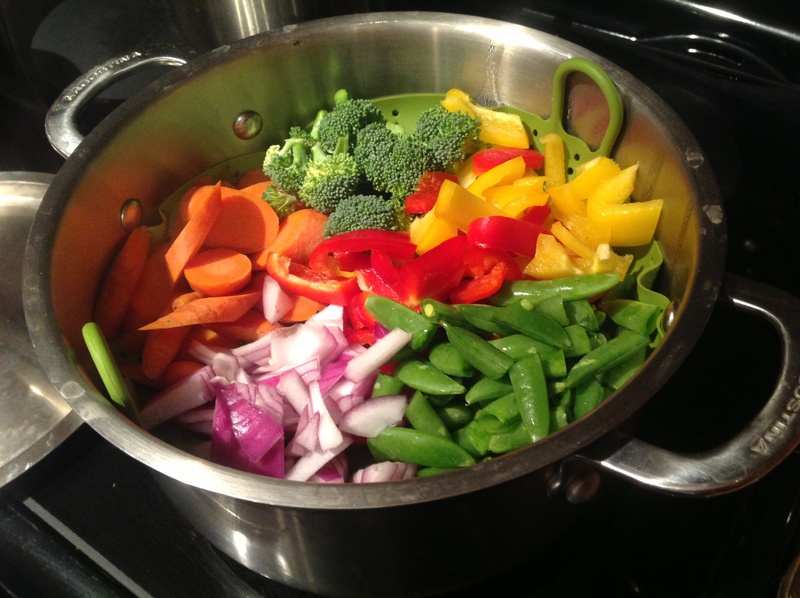 Add the peppers, broccoli, snap peas and steam all vegetables together for 4-5 minutes. Remove from heat. 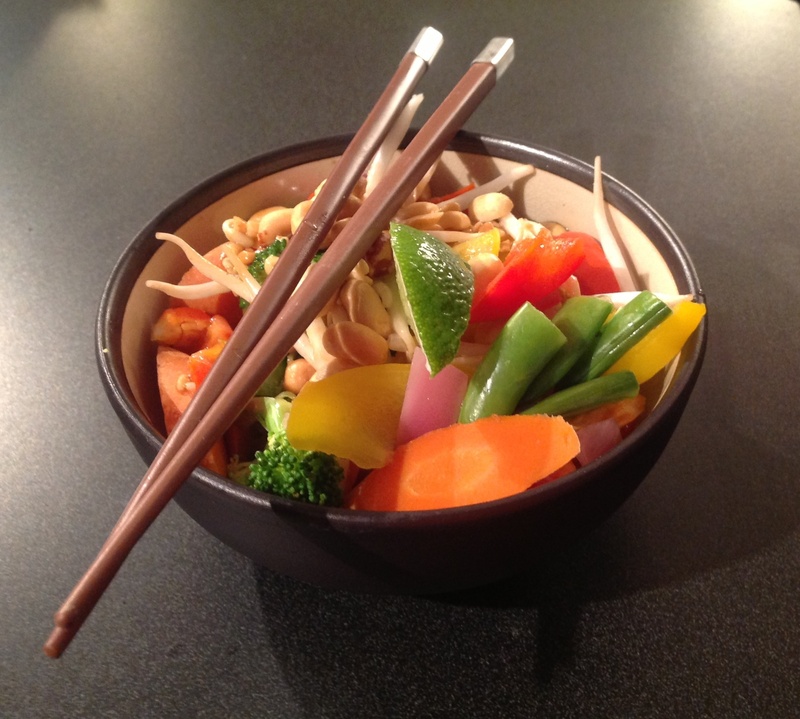 Layer the ingredients in a bowl, starting with the rice, then vegetables and spoon the peanut sauce over top. Then top with fresh bean sprouts, peanuts and a wedge of fresh lime. YUM!